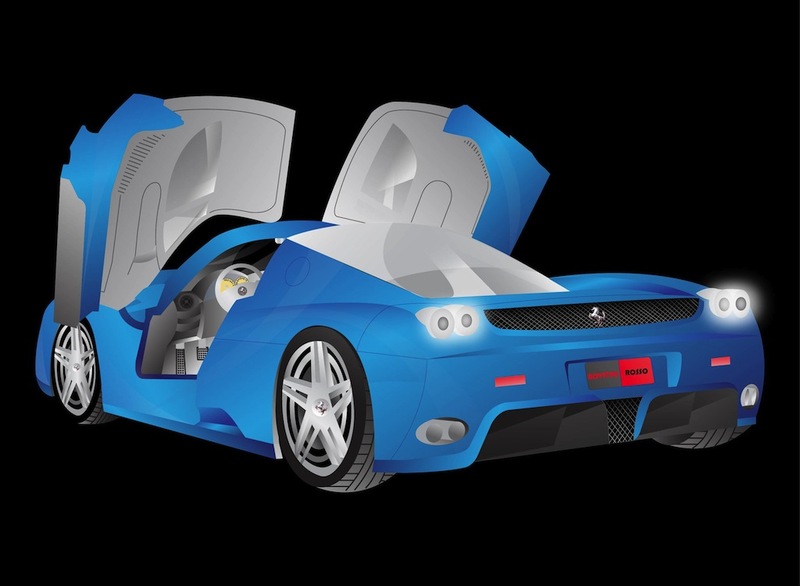 Free car vector graphics of a modern luxurious race car. Racing automobile manufactured by Ferrari. Open doors on the expensive vehicle. Vector image to create racing, driving, automobiles, cars, vehicles, luxurious products, motor companies, expensive objects, adrenaline and fast cars visuals. Tags: Blue Ferrari, Car, Drive, Fast, Luxury, Modern, Race, Racing, Vehicle.